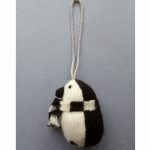 A happy penguin made from knitted and lightly felted lambswool to give him that extra fluffy look. 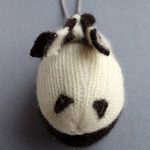 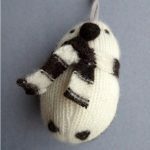 I have hand embroidered the penguins eyes and feet and he wears a black and white wool scarf. 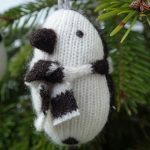 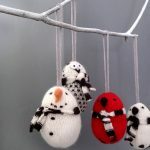 Ideal for your Christmas tree these also make brilliant ‘secret Santa’ gifts for friends and colleagues. 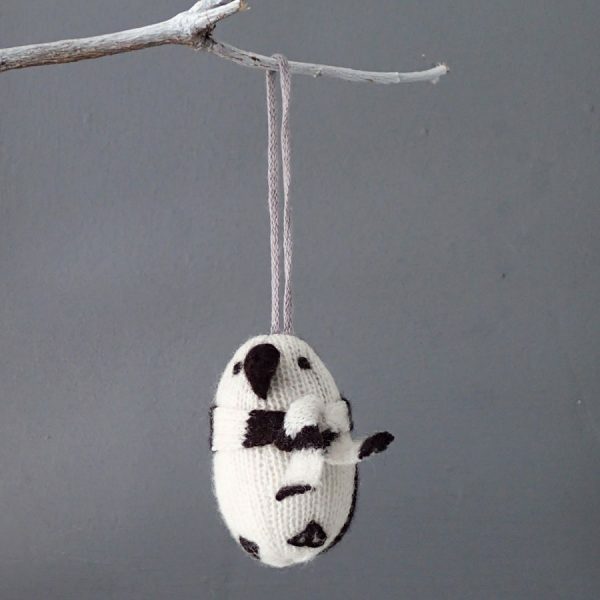 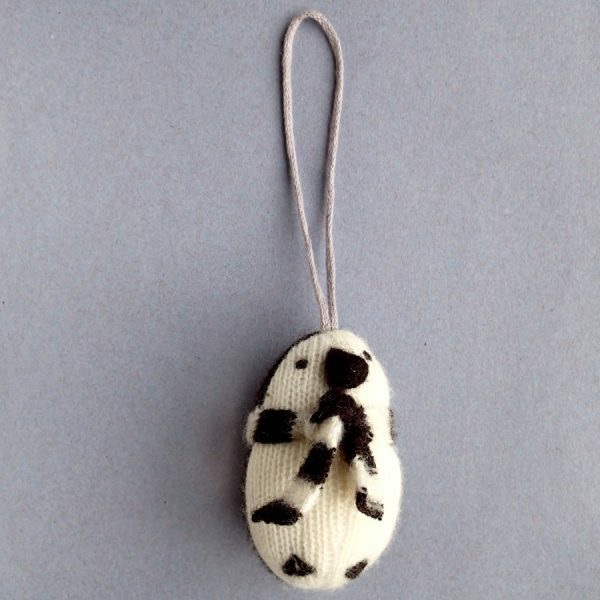 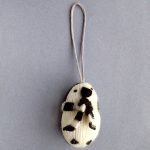 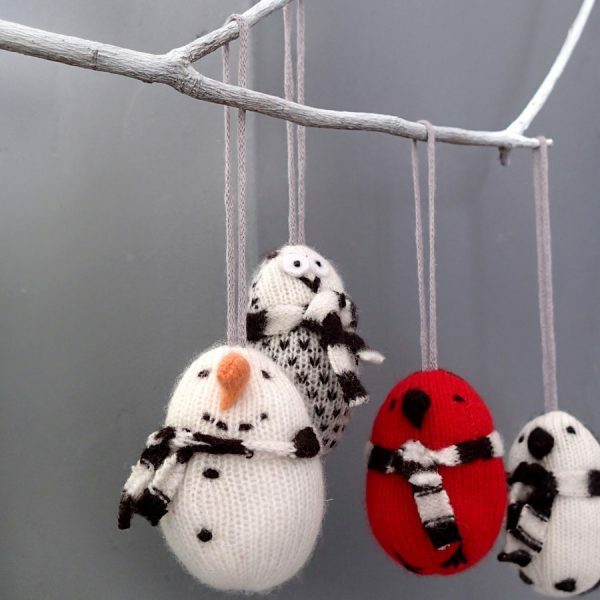 He hangs from a lilac knitted cord and measures 7.5cm high.